Fiberglass Grade Rod with enhanced design for better usage with accessories and detectors. Some people call these a "story pole". This rectangular shaped Grade Rod is ideal for surveying, plot mapping, building, planning, grading and leveling. 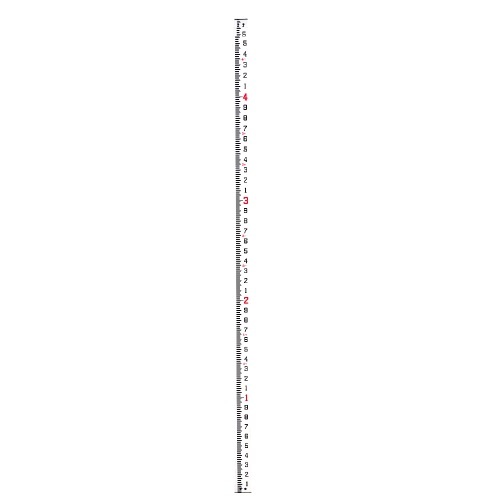 This Grade Rod has sharply defined characters and graduations that can easily be read in any lighting. The rod is wear-protected, and glare resistant scales are highlighted in red to mark each foot. This Grade Rod is designed to be portable. Collapse to less than six feet.